With a specialty in podiatry, Dr. Charlton Woodly and Dr. Asia Jackson, who have offices in Weatherford and Richland Hills, Texas, treat very specific conditions that affect the foot and ankle such as neuropathy. Dr. Woodly focuses on providing care that improves the overall health of diabetic and nondiabetic patients with neuropathy to relieve their suffering and improve lower limb circulation and function. 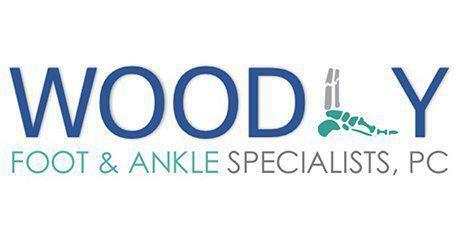 Call or schedule an appointment online at Woodly Foot & Ankle. Neuropathy is a type of nerve damage that results in weakness, pain, and numbness in the limbs. High blood sugar (glucose) can injure nerve fibers throughout your body, but diabetic neuropathy most often damages nerves in your legs and feet. Depending on the affected nerves, symptoms of diabetic neuropathy can range from pain and numbness in your extremities to problems with your digestive system, urinary tract, blood vessels and heart. For some people, these symptoms are mild; for others, diabetic neuropathy can be painful, disabling and even fatal. Diabetic neuropathy is a common serious complication of diabetes. The doctors at Woodly foot and ankle specialists are at the cutting edge in treatment for painful diabetic neuropathy. The misguided messages are a result of nerve damage to this area and are often associated with a chronic illness such as diabetes, although, a person can develop neuropathy from trauma or infection, as well. Dr. Woodly is one of a handful of doctors in the United States using Regenerative Medicine to successfully treat painful neuropathy of the lower extremity. Call us today for more information. Since neuropathy is a symptom of a number of medical problems, the risk factors vary. The most common one is diabetes mellitus, especially if the blood sugar levels are not well managed. Other possible causes include alcohol abuse, vitamin deficiencies, infection, lupus, rheumatoid arthritis, thyroid disorders, and environmental toxins. Neuropathy can also run in families, so there may be a genetic predisposition for the condition. Neuropathy affects the sensory, motor, and autonomic nerves. When people experience it in their feet, they generally complain of a gradual onset of numbness with periods of prickling or tingling. It feels like your feet have fallen asleep. The sensation may even spread up the legs. There may be extreme sensitivity to pressure and touch, making walking a challenge. Some patients experience muscle weakness in the feet and legs, as well. Neuropathy is potentially very serious because, without sensation, it’s easy to injure yourself and not realize it. Something as minor as a blister can become infected without you knowing it. What are the treatment options for peripheral neuropathy? Prevention is the best treatment for peripheral neuropathy and that means addressing the underlying condition like diabetes and blood sugar management. Dr. Woodly and Dr. Jackson monitor the health of your feet and ankles to prevent ulcerations and infections, as well as treat the pain associated with the condition. Unlike other podiatrists, Dr. Woodly and Dr. Jackson also uses cutting edge treatment options including stem cell therapy to treat peripheral neuropathy. The success that Dr. Woodly and Dr. Jackson have had with this treatment has allowed them to be at the forefront of neuropathy treatment. Laser therapy heals tissue ailment by injecting billions of photons of invisible laser light deep into the tissues. Human tissue naturally contains protein strands called chromophores, which have the unique ability to absorb laser light energy and transform it into chemical energy. This chemical energy is used by the body to significantly reduce pain and accelerate the healing process naturally. Laser treatment is a safe, painless alternative to the injections in many cases.